Simple displays, if executed correctly and paired with compelling and value-building scripts for Design Consultants can produce amazing results. 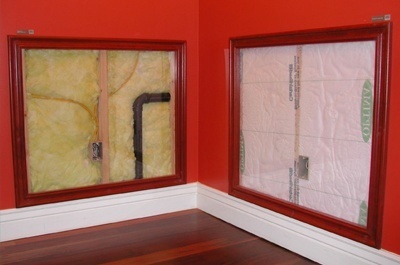 The builder created this display, and then significantly increased the price of the blown-in insulation, yet saw an eight-fold increase in sales of this product in the first year this design studio was open. We create more than just “pretty” design studios. Our strategy-based approach produces results!